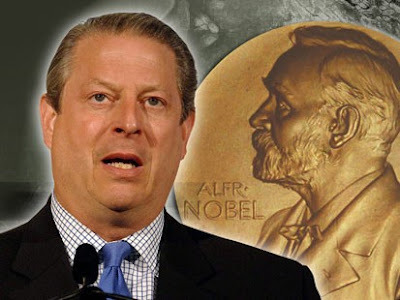 Patagonia Under Siege: Al Gore Dumps Barrick Gold Sponsorship for Chile Visit - Mining sponsorship risked "contaminating" and making a mockery of Gore's campaign. Al Gore Dumps Barrick Gold Sponsorship for Chile Visit - Mining sponsorship risked "contaminating" and making a mockery of Gore's campaign. "You can't be sincerely worried about environmental phenomena affecting the planet and at the same time be 'mates' with a company like Barrick Gold." Senator, Alejandro Navarro. [12th April 2007] Al Gore has dumped financial backing from controversial Canadian mining company Barrick Gold for his upcoming Santiago event "Global Warming and Climate Change: The Time Has Come to Act." The Academy Award-winning environmentalist distanced himself from any association with the mining company, which owns the controversial Pascua Lama gold mine. "Unfortunately, we were never asked to approve Barrick Gold as a cosponsor and as soon as we became aware that they were co sponsors, we asked that they be removed," Gore's press spokesperson Kalee Kreider told The Santiago Times. "I was informed that they were removed yesterday." A Barrick Gold spokesperson confirmed to The Santiago Times that they had withdrawn their funding for the event. The US$50,000 that they contributed will be directed towards "other environmental projects." It is still not known how event organizers will cover the cash shortfall presumed to exist now that Barrick has been banned from the event. Other sponsor's for Gore's visit include the Chilevision television station, the El Mercurio newspaper and the Banco Del Estado. National political leaders and Chile's environmental community warned earlier this week that the mining sponsorship risked "contaminating" and making a mockery of Gore's campaign. Barrick Gold has come under fire for dubious environmental and human rights practices on four continents. Its most controversial recent project in South America, the Pascua Lama gold mine, straddles the border between Chile and Argentina in the Andes Mountains in Chile's Region III. The project been harshly criticized by environmentalists worldwide who oppose the company's determination to destroy the glaciers sitting above the metal deposits. "When it comes to the environment, you have to take sides," Sen. Alejandro Navarro told The Santiago Times. "In this case, it means that Gore has to choose whether he wants his message to retain its credibility, or whether he's happy to go along with whomever facilitates the event. You can't be sincerely worried about environmental phenomena affecting the planet and at the same time be 'mates' with a company like Barrick Gold." Glaciers are one of the world's precious fresh water reserves – as Gore pointed out in his documentary film, "An Inconvenient Truth," – and are one of the ecosystems most at risk from climate change. With 1,751 glaciers within its borders, Chile is home to 3 percent of the world's small glaciers. Global warming, however, is taking its toll. Chile's melting glaciers contribute to over 8 percent of the world's rising sea levels. In the last two years Chile's Marinelli glacier appears to have shrunk by more than four kilometers, despite the area receiving substantial rain. Barrick's quest for gold in Chile may prove similarly devastating. The company initially drafted a plan to build an open-pit mine and to remove or "relocate" three glaciers impeding Pascua Lama's development. The company eventually received the environmental go-ahead from Chile's National Environment Commission (Conama) in early 2006, but on the condition that the ice mass not be touched. A tunnelled mine, rather than an open pit mine, would have to be used, said Chile's Conama. Environmental watchdog, the Latin American Observatory of Environmental Conflicts (OLCA) has already reported partial destruction of three glaciers: Toro 1, Toro 2 and Esperanza, which all sit astride Barrick Gold's Pascua Lama mine. Still, Chile's lax environmental controls and dismally poor environmental track record suggest Barrick will be allowed to continue developing the mine without any significant penalty or oversight. Residents in the Huasco Valley below the Pascua Lama mine site – many of whom are from the Diaguita Huasco Altina indigenous community - fear residue from the mining process will contaminate the Estrecho River which flows out of the valley. The community also claims it has lost 50,000 hectares of land which Barrick Gold acquired illegally. "It does not make sense that one of the principal leaders of world public opinion on the threat global warming presents to our planet would come to Chile financed by the same mining company responsible for the destruction of glaciers and water contamination in so many parts of the world," read a statement from OLCA. The organization referred to the sponsorship as an "image-laundering operation" on the part of Barrick Gold.